In spring the tip of each branch bursts into a mass of open single flowers, glowing purple in colour until the shrub is a veritable bouquet, with generally a second sporadic flowering in autumn. The Azalea is exacting in its requirements, but once those are met, no other plant is more rewarding. 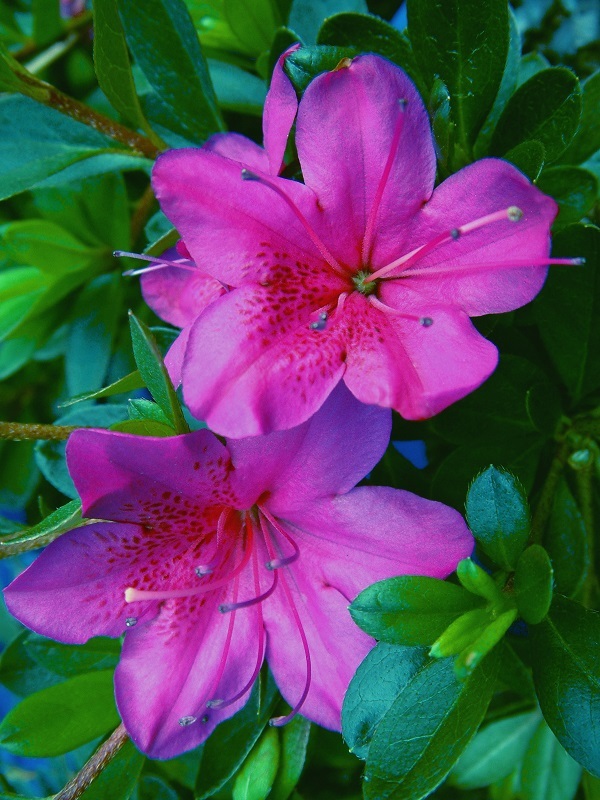 Azaleas require moist well drained, acidic soil, they grow best in light shade and require minimal pruning. Mulching is important as they have a shallow fibrous root system.